Originally released for the Dreamcast in 1999, Space Channel 5 was a critically acclaimed music rhythm game by Sega. After the Dreamcast ceased production, the game was eventually ported to other platforms, such as the PlayStation 2 and Gameboy Advance. The game, however, is best remembered as one of the best games for a short-lived video game console full of very good games. 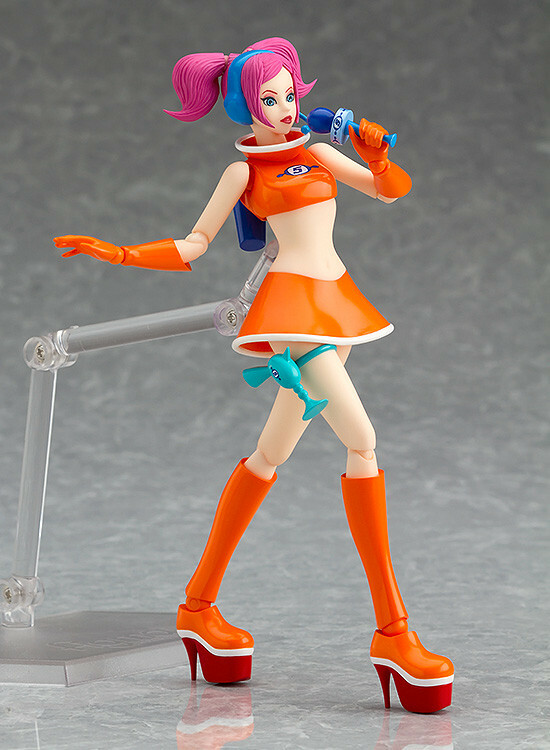 This December, 18 years after the games release, fans will be able to purchase a detailed figure based on the games main character, Ulala. 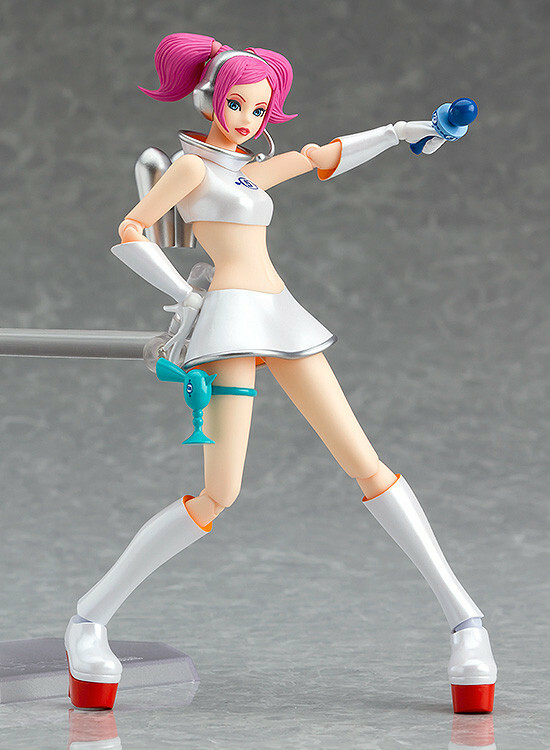 The Space Channel 5 – Ulala Figma is being released by Good Smile Company. 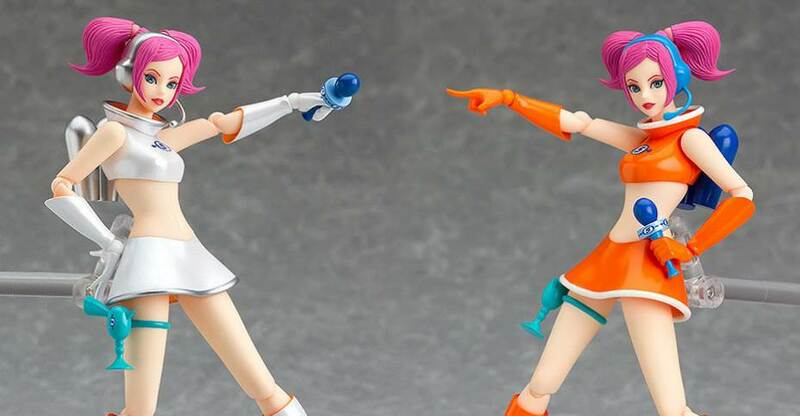 The figure is being released in two versions. 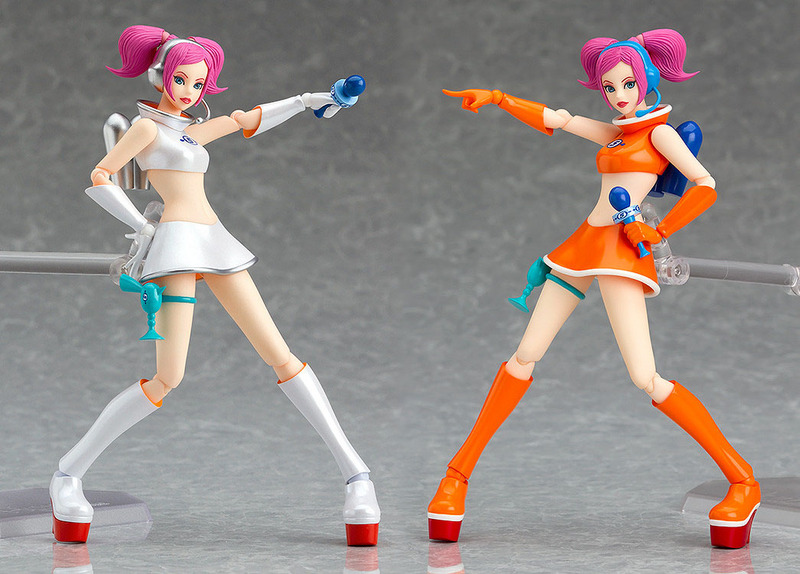 Fans can choose from the Ulala Exciting Orange Version or the Ulala Cheery White Version. The figures both stand at 6″ tall and include moveable eyes, three Morolians, a microphone, a gun and an articulated figure stand. Each version is priced at 7,222 Yen (about $65 USD). You can see photos of both version after the jump. This is...a very weird announcement, considering that the last game in the series came out ages ago. 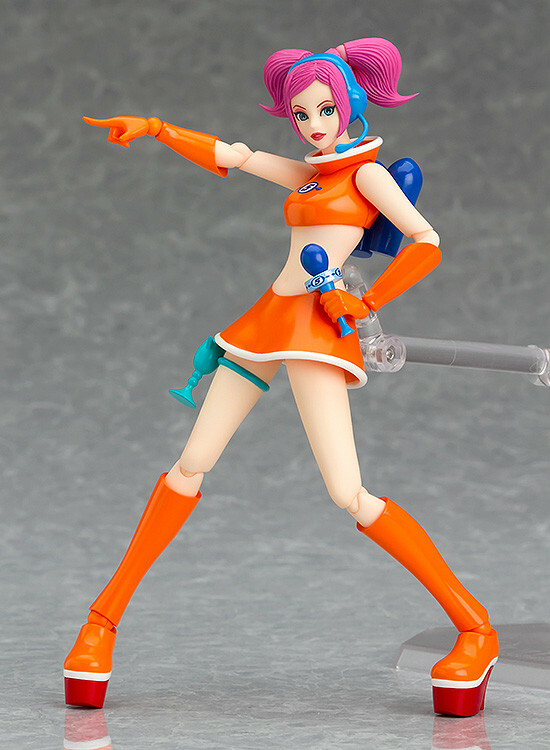 That said, I always loved SC5 and Ulala's retro-60's sci-fi design, and the Figmas (especially the orange one) look outstanding. I might pick one up. Wasn't her default costume in the game orange? Wonder why it's an exclusive.